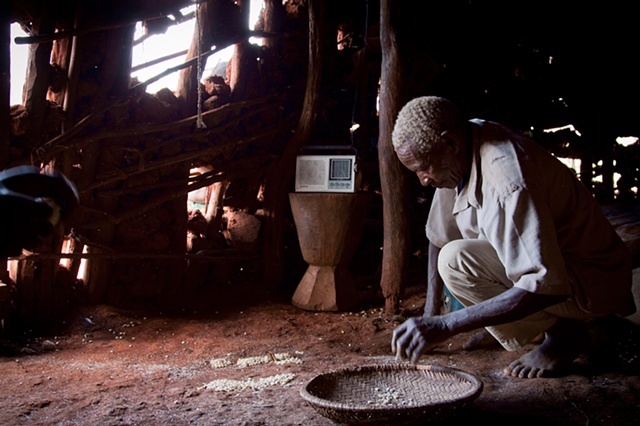 Babu (the grandfather) picks up stray maize kernels while listening to gospel on his radio. Radio is the main source of news and entertainment for Tanzanian villagers. Often they have money for batteries only during harvest season when they sell their crops. The rest of the year the battered radios sit as decoration in the corners of their mud homes.